Vaudeville is dying in 1920’s America. Against that backdrop and to Arthur Laurents’ book, Jule Styne and Stephen Sondheim have penned one of the bleakest yet most beautiful musicals ever. Gypsy, set in the Great Depression, charts Momma Rose’s manic depression, who as the pushiest of parents sets out to channel her own fading dream of showbiz stardom, through the lives of her daughters. Imelda Staunton's Momma Rose defines the role. She and Jonathan Kent have previous of course, with her Mrs Lovett in his Sweeney Todd proving Chichester's 2011 sensation, going on to win her an Olivier the next year on its West End transfer. This remarkable actress offers a totality of commitment, in movement, voice and emotion that proves a truly rare trinity. As well as the most complex of paths to pathos, Staunton also finds the humour that Sondheim subtly weaves into his prose, with Small World in particular proving a delight. It is of course in the delivery of those massive numbers Everything’s Coming Up Roses and Rose’s Turn, that Staunton proves herself beyond compare amongst her generation. 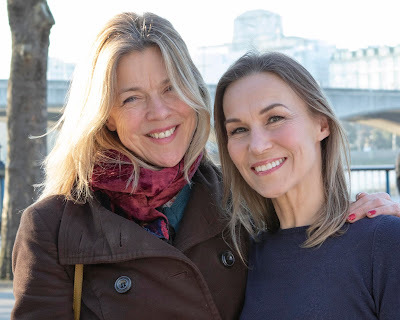 The impact of the abusive emotional neglect that Momma Rose heaps on her daughters is brought into painful relief by Lara Pulver as the over-shadowed Louise and by Gemma Sutton (a name increasingly associated with exquisite performances) as her spotlight-addicted sister June. Pulver’s portrayal of Louise, continually being overlooked in favour of her sibling, is never once overplayed by the actress. As vaudeville dies and Momma Roses pushes the shy Louise into the spotlight as a small town burlesque stripper, Pulver gives one of the most poignant segues ever, as the brutatlity of her mother’s pushing evolves into the tender, initially damaged response of the daughter. Oh and her voice in the glorious penultimate number Let Me Entertain You, is heavenly. Alongside and as a hangdog Herbie, a complex man desperately out to win Rose’s love, Kevin Whateley, a name not often associated with musical theatre convinces us of his commitment to Rose’s dream. Other notable gems in this jewel box of a cast are Dan Burton’s Tulsa whose grace in both voice and dance wows in All I Need Is The Girl, whilst (the almost) veteran Louise Gold as Mazeppa plays the most world-weary of strippers who’s seen it all and proves as much, leading a gloriously sleazy line in You Gotta Get A Gimmick. And a salute too for young Georgia Pemberton, whose presence, dance and baton twirling brilliance as the Young June is an absolute treat. Stephen Mear’s choreography is incisive and beautifully conceived. His company work is a joy throughout, with the meticulously managed “mediocrity” of Broadway, as Rose’s vaudevillian hoofers bungle their way through a routine, proving to be a classy confection. The design by Anthony Ward neatly combines marquee lights with the drabness of assorted downtowns, whilst directly beneath the stage the most gloriously proportioned pit, being used here for the first time in the newly rebuilt venue, accommodates Nicholas Skilbeck’s fifteen piece (predominantly brass) band. Styne’s score is given a truly thrilling treatment, with the Overture alone setting spines tingling. The good people of Chichester are spoiled with the flawless perfection of this show. 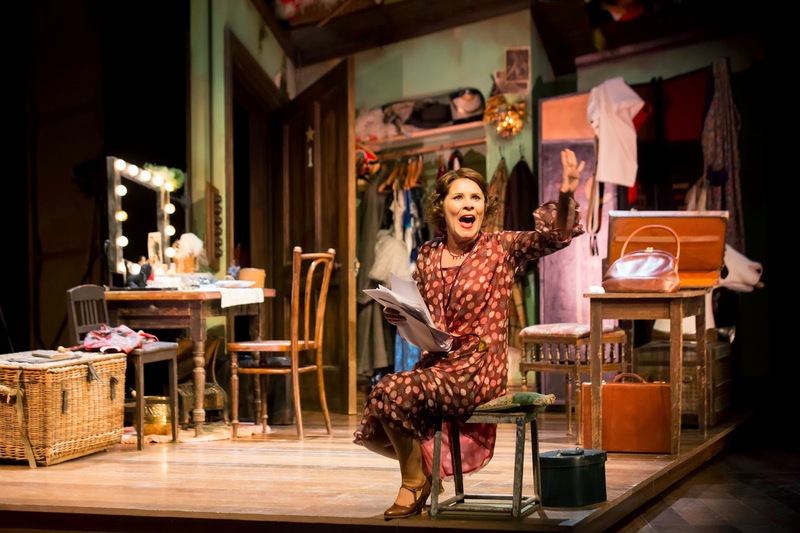 As Gypsy demands all from Imelda Staunton, so too does theatre demand that this production reaches a wider audience. Go see Gypsy – Its haunting perfection will stay with you for a long time.